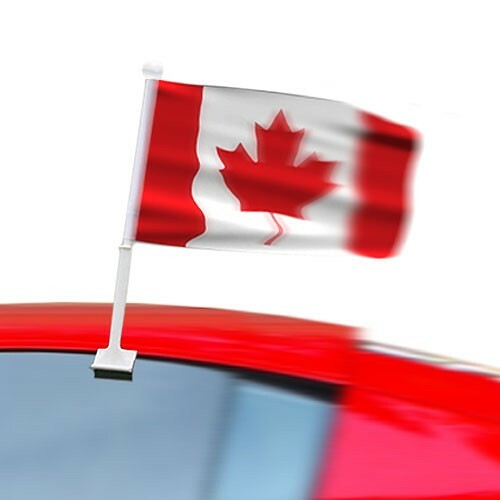 Our Canada car flags are printed on knitted polyester, the ideal fabric for moving vehicles. The white window pole and clip are made of plastic, strong enough to be used on the highway. 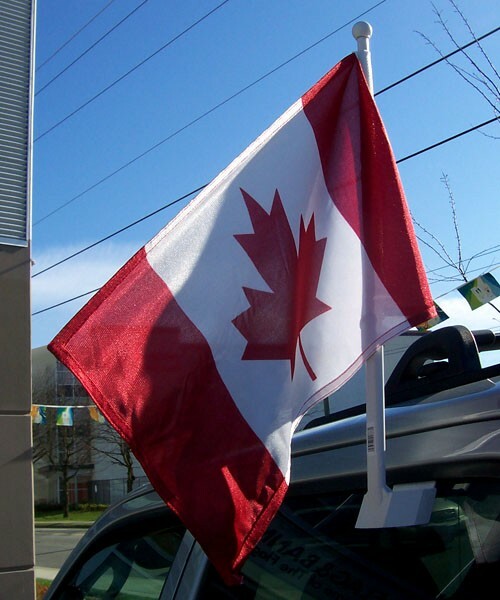 These car flags clip nicely onto most car windows.